to express insulin (green) in the lab. 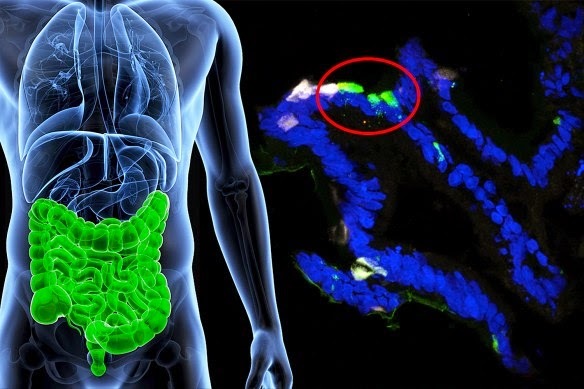 By switching off a single gene, scientists at Columbia University's Naomi Berrie Diabetes Center have converted human gastrointestinal cells into insulin-producing cells, demonstrating in principle that a drug could retrain cells inside a person's GI tract to produce insulin. The new stydy appears in the online issue of the journal Nature Communications. "People have been talking about turning one cell into another for a long time, but until now we hadn't gotten to the point of creating a fully functional insulin-producing cell by the manipulation of a single target." said the study's senior author, Domenico Accili, MD, the Russell Berrie Foundation Professor of Diabetes (in Medicine) at Columbia University Medical Center (CUMC). These finding raise the possibility that cells lost in type 1 diabetes may be more easily replaced through the reeducation of existing cells than through the transplantation of new cells created from embryonic or adult stem cells. For nearly two decades, researchers have been trying to make surrogate insulin-producing cells for type 1 diabetes patients. In type 1 diabetes, the body's natural insulin-producing cells are destroyed by the immune system. 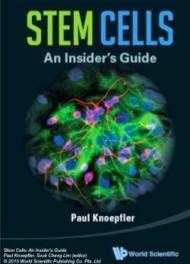 Although insulin-producing cells can now be made in the lab from stem cells, these cells do not yet have all the functions of naturally occurring pancreatic beta cells. This has led some researchers to try instead to transform existing cells in a patient into insulin-producers. Previous work by Dr. Accili's lab had shown that mouse intestinal cells can be transformed into insulin-producing cells; the current Columbia study shows that this technique also works in human cells. The Columbia researchers were able to teach human gut cells to make insulin in response to physiological circumstances by deactivating the cells' FOXO1 gene. Accili and postdoctoral fellow Ryotaro Bouchi first created a tissue model of the human intestine with human pluripotent stem cells. Through genetic engineering, they then deactivated any functioning FOXO1 inside the intestinal cells. After seven days, some of the cells started releasing insulin and, equally important, only in response to glucose. The team had used a comparable approach in its earlier, mouse study. In the mice, insulin made by gut cells was released into the bloodstream, worked like normal insulin, and was able to nearly normalize blood glucose levels in otherwise diabetic mice: New Approach to Treating Type I Diabetes? Columbia Scientists Transform Gut Cells into Insulin Factories. That work, which was reported in 2012 in the journal Nature Genetics, has since received independent confirmation from another group. "By showing that human cells can respond in the same way as mouse cells, we have cleared a main hurdle and can now move forward to try to make this treatment a reality." Dr. Accili said. The key will be finding a drug that can inhibit FOXO1 in the gastrointestinal cells of people; Dr. Accili is now looking for suitable compounds.